The brain of a man murdered 19 years ago in Bedfordshire has been discovered at a London hospital. 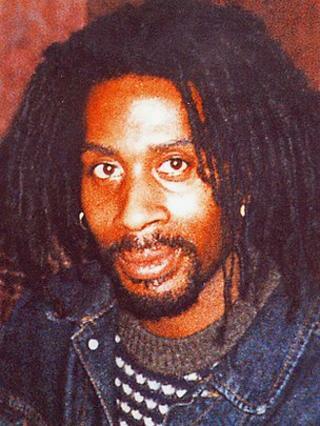 Danny Ferguson, 32, was shot in the eye and his body was hacked with a machete in a bedsit in Shakespeare Road, Bedford on 21 February 1994. A post-mortem examination was carried out and his brain was removed but not replaced. His family believed the body was buried intact and a ceremony has been carried out to place it with his remains. His killer has never been caught. The case was reopened 12 months ago, leading to the discovery of his brain at the hospital. A Bedfordshire Police spokesman said: "In the course of the review of the case, the investigation team were contacted by a London hospital and informed that Danny's brain had been located in forensic storage. "Officers met with the Ferguson family to let them know this information and give them the options available for dealing with the tissue that remains. "The family have since placed Danny's brain in his grave." DCI Mark Ross said: "We were totally unaware that tissue from Danny's body had been retained and it is obviously regrettable that this situation has arisen. "Danny was killed in 1994 and in previous times, these matters were dealt with in a different way. "As with all forces, we recently undertook a review into tissue that had been retained from a small number of investigations. "This has now been completed, but we have kept the situation under review and will continue to do so." The family said they were very distressed over the discovery. Mr Ferguson's brother Richard said: "The police have recently contacted us to make us aware of body tissue recently found in storage belonging to my brother. "The brain was retained without our knowledge or consent for 19 years. "We have buried our brother un-whole and this is truly distressing to know. "This is not the fault of the officers presently investigating his murder but it is the result of a bad processing system."